We have decided to post the 2nd Round of the Bermuda Junior Golf Association’s 35th Annual Fecchio Cup early today as play continued in windy conditions at Port Royal Golf Course. In the Championship Division, Kenny Leseur played another solid round, finishing with a 5-over par round of 76 – a great score as the winds picked up this afternoon. Leseur wasn’t able to extend his lead, as Spencer Young matched his score of 76, keeping within touching distance for the final round. 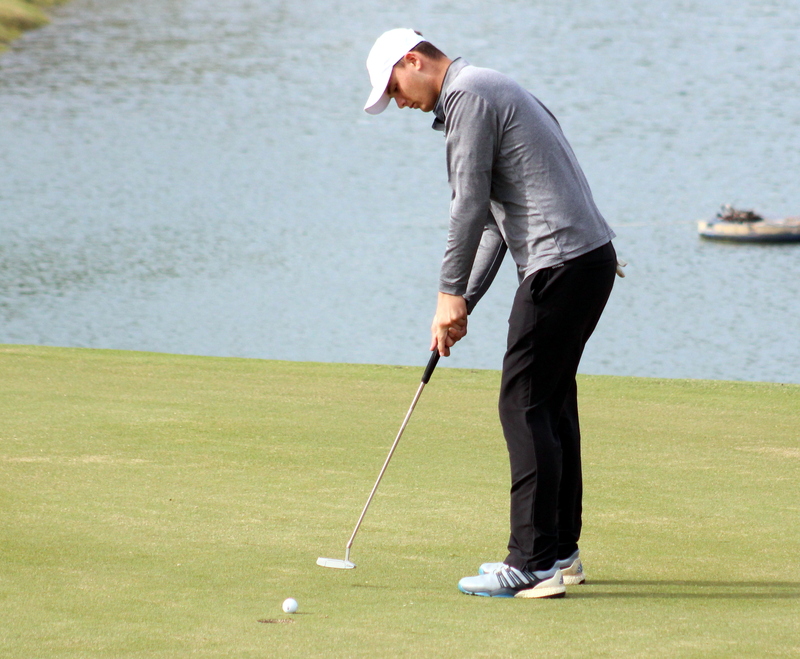 Adam Perry and Alex Withers-Clarke improved on their first round scores by six and ten strokes, respectively. Benjamin Betschart rounds out the Division. The Red Tee Division will be tight going into the final round with Oliver Betschart extending his lead to seven points after improving by one point for a total of 49. Sa-Qui Robinson was the biggest mover in the pack, picking up 4 more points today than yesterday with 23 and a total of 42. Matthew Roberts also moved up to solo third on 41 points after another solid round. Nicholas Weikl who scored 16 points, struggled with the wind later in the round, dropping into 4th place on 36 points. Arthur Gadeke leads the rest of the chasing pack, followed by Jack Carruthers who overtook his younger brother Ryan to have family bragging rights for the night. Sebastian Fischer picked up another six points today and Adam Roberts was the most improved from day one, jumping up into a tie for 8th.